Very well made drapery panels. Very soft and sewn well. Color did not match our bedding as well as I thought so I had to return. If it would have matched, would have definitely kept them. Bring a glamorous touch to your home with this solid-colored Sherry Kline Elite Velvet Window Panel. Made from 100-percent polyester, this panel has a thick heavy velvet fabric that acts like a blackout fabric and keeps the daylight out. The panel adds modern feel to living rooms, dining rooms and bedrooms. 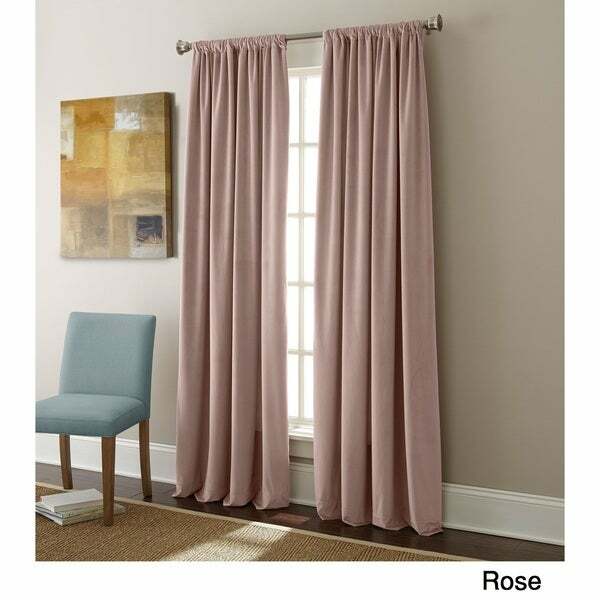 Set includes two (2) velvet window panels. The color is spot on, the velvet is soft and beautiful, and they hang nicely. They block most light, but I would recommend getting a blackout liner for complete coverage. "What is the width of each panel?"